One Direction Blog - News, Music Downloads, Photos and Tour Information A fan news site dedicated to the boy band One Direction. Blog includes news, photos, tour information and bios on all the singers. 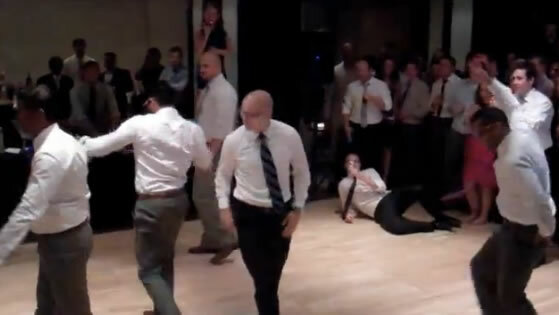 Weddings can be fun and entertaining for all who are involved but one Groom and his Groomsman kicked it up a notch when they surprised the beautiful Bride with a rendition of One Direction’s ‘What Makes You Beautiful”. It all went down in Montreal, Canada as the Groom started to talk about his lovely Bride and than gave the signal to the DJ to hit the music. I have to say the British boy band would be proud of this rendition as its full of some pretty wicked choreography and dance moves. Check out the video below. Too Much Too Soon from Paul Warner on Vimeo. One Directions performances shred – watch here!! !